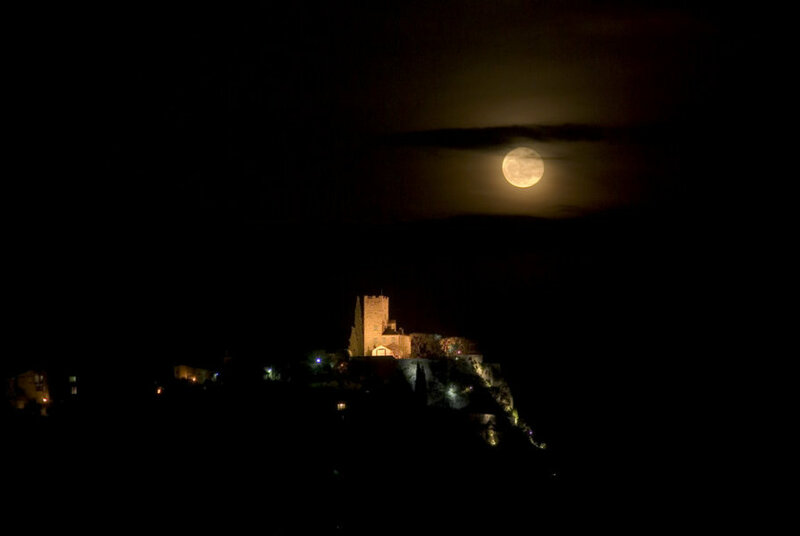 Explanation: Clouds couldn't hide this bright Full Moon as it rose last week over the medieval castle of Tourrette-Levens near Nice, France. Exactly full on April 9 at 1456 UT, it followed the March equinox, making it the first Full Moon of spring in the north and autumn in the southern hemisphere. Known as the Easter Moon, it fixes the date for the celebration of Easter on the first Sunday after the first Full Moon of northern spring. Also called the Grass Moon or Egg Moon in the north, in the southern hemisphere, following the autumnal equinox, this Full Moon shines throughout the night as a Hunter's Moon.